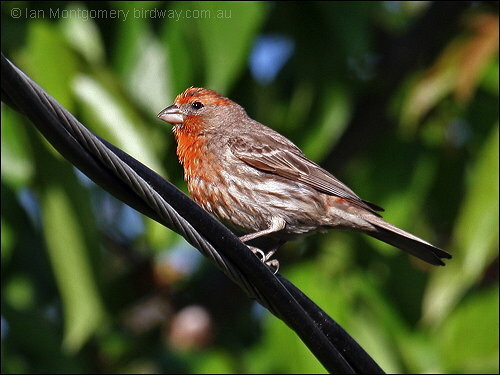 Morris was a small house finch who lived in the sunny state of Florida. He had built a tiny nest for himself and lived in a small forest away from busy streets and people. The only road that was close by was a highway leading to a large building that was about half a mile away. Morris could barely see the building from the top of a high tree in which he lived. Every day Morris would watch incredibly large birds fly to and from the building, but he had no idea what they were. The building was in fact an airport, and the large birds were airplanes, but Morris did not know this. Eventually, the weather became really hot as spring turned into summer. Morris grew tired of the heat and decided to find a new place to stay, at least for the summer. Morris flew out of his nest into the air and began to search for a cooler place to live. He slowly reached the giant building in the hot sun. Looking inside, Morris noticed trees that seemed comfortable in the cool air. He tried to find a place to fly in, but every part of the building seemed to be made of windows. After trying to get inside for a long time Morris caught sight of a shuttle zipping inside the building. He followed the shuttle inside into the refreshingly cool air and instantly flew toward a tall tree that stood in the sunlight. The tree gave Morris a broad view of a wide space were many people were eating. At first, he thought we would be able to handle the noisy people, but as the sun rose higher into the sky more people began to arrive and the building grew louder. Morris tried to ignore it, knowing when the air became colder he could fly back to his nest. After a few minutes of trying to pull up some branches and twigs to make a new nest, Morris realized that the “tree” was fake, which made him slightly annoyed. Fortunately, he could still make his new home cozy because it was cool and comfortable sitting in the branches and watching the people. Morris began to grow hungry and decided that he should find some food, though it didn’t look as if there were any worms around. He swooped down to where several people were eating and picked up a few dry crumbs from off the ground. After eating a few pieces Morris was still hungry so he decided to fly back outside to search for some worms. It felt nice to be away from the noise, but as Morris flew back the way he came, he accidentally flew into the shuttle that carried passengers back and forth. He couldn’t get out before the doors closed. He flew up and down in a frenzy, searching for a way out. People around him screamed, terrified, until finally he was able to fly back outside. Instead of searching for worms Morris flew straight back to his nest and stayed there for the rest of the day even though it was still hot. That night Morris’s surroundings became cool and Morris was able to sleep peacefully despite the chaos of the morning. Emma has treated us to another interesting story. Not sure if a bird ever went looking for air conditioning, but it sounds logical. But, like us, we are better off being right where the Lord has placed us and with the provisions that have been provided by Him. Thanks again, Emma. 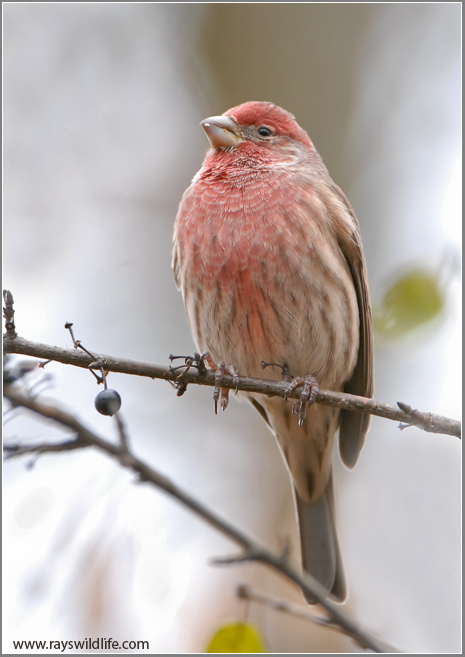 This entry was posted in Bird Tales, Birds, Birdwatching, Christian, Guest Writer and tagged Contentment, Discontent, Emma Foster, Emma's Stories, Finch, Home School, Kids, Nature, Youth. Bookmark the permalink. ← Many More Birds Have Arrived! 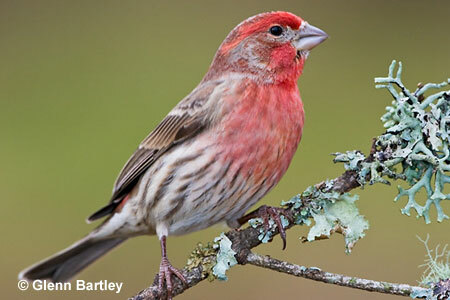 Morris is such a beautiful bird – and , yes, we too call those airplanes, “big birds”. And there’s no place like home! Keep up the good work, Emma. Morris has my sympathies — I don’t do well with hot weather, especially if it’s humid. Air conditioners are convenient inventions, as well as fans — ceiling fans, floor fans, desk fans, etc. A little snow never hurt anyone either.